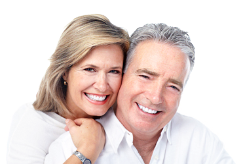 At Coconut Grove Dental, we care for patients of all ages in our friendly and welcoming office. Our community centered dental practice is dedicated to getting to know each of our patients a personal level, and we are committed to providing honest, down ­to­ earth, high ­quality dental care. When it comes to your oral health, it’s important to find a dentist with high standards. At our office, you can rest assured that you will be given individualized attention and a superior level of care that will surpass your expectations. We provide the finest in general dentistry in Miami, FL. You are not just a patient – you are a member of our dental office family. Our modern office utilizes advanced dental technology that will provide you with a stress-free and comfortable dental appointment. You deserve a dentist who will help you reach your oral health goals. Call our office today to schedule an appointment. We look forward to meeting you in person!